Summer Festivals – Family Fun for Everyone! Please note that this post is from 2010. I think Memorial Day Weekend and the annual Taste of Cincinnati is the official kick off to summer festival time. 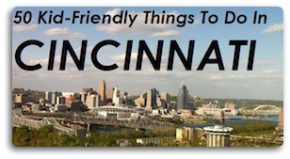 There’s nothing better than taking your family to one of the many festivals we have in Greater Cincinnati. If you missed the Taste this year, don’t despair there are so many other events to keep you busy – church festivals, food festivals, kids festivals, music festivals and more. Best of all, most festivals are free. We’d love to expand our listing, so if you have any festivals you’d like to add, please leave a comment and we’ll get it added to the post. See our post on free music concerts for even more to do. June 4-6 – Summerfair – Coney Island – Kids 12 and under are free and parking is free. See more info on a previous FFC post. June 5-6 – Kidsfest – Sawyer Point, downtown Cincinnati riverfront, FREE. June 10-13 – Italianfest – Newport, KY – FREE – Newport Riverfront. Call (859) 292-3666 for more information. June 11-13 – St. Michael Festival – Sharonville, Ohio – FREE. June 12 – Strawberry Festival – Shandon, Ohio. FREE, 10am-7pm. June 12-13 – Dog Fest – Voice of America Park, West Chester, Ohio. $8/donation per car or van. June 18-20 – The Original Goettafest – Mainstrasse Village, Covington, KY – FREE. June 18-20 – St. Vivian Festival – Finneytown, $5 admission. June 24-26 – Paddlefest – Coney Island. FREE. June 25-27 – St. Veronica Church – Sports of All Sorts Festival 2010, Mount Carmel-Tobasco Road – FREE. 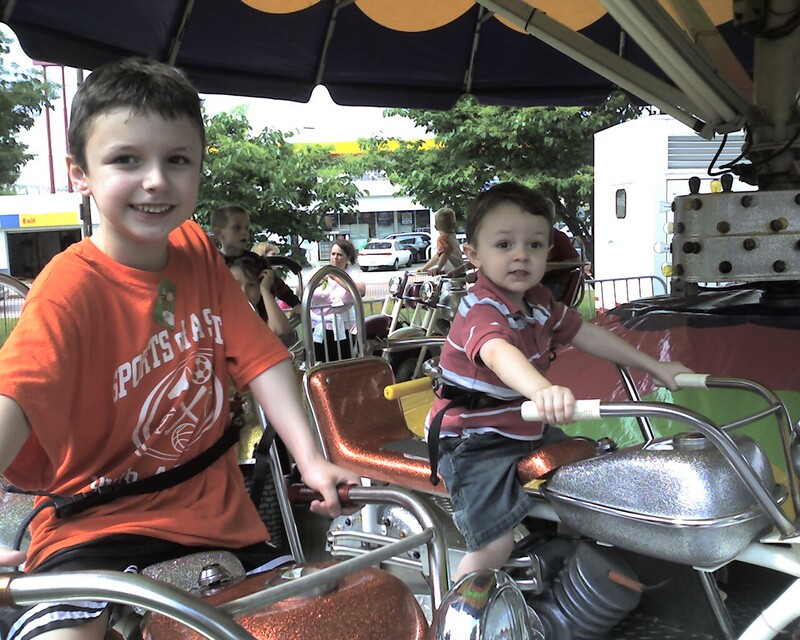 June 24-27 – Panegyri Greek Festival – 12 and under are free, $2/admission. Holy Trinity-St. Nicholas Greek Orthodox Church, Finneytown, Ohio. June 30 – Broad Street Bash – Middletown, Ohio. FREE, 6-9:30pm. July 2-5 – America’s Celebration – Newport Motorcycle Rally – Newport, KY – FREE – Newport Riverfront. Call (859) 912-2509 or visit www.newportmotorcyclerally.com. July 3 – Fourth at the Fort – Tower Park, Fort Thomas, KY – FREE – Noon-11pm. July 3 – Red, Rhythm & Boom – Corwin Nixon Park, Mason, Ohio, 2:30-10:30pm. FREE. July 4 – Red, White & Blue Ash – Reed Hartman & Glendale Milford Rd., Blue Ash – FREE. July 9-11 – St. Rita Fest – Evendale, Ohio – $2 admission. July 16-18 – MidFirst Ohio Challenge Hot Air Balloon Festival – Smith Park, Middletown, Ohio – Free for kids 12 and under and $3/over 12 or $8/car if you take a shuttle to the event. July 23-24 – St. Ann Fiesta – Hamilton, Ohio – FREE. July 29-Aug. 1 – The 3rd Annual Cincinnati Salsa Fest – Sawyer Point, downtown Cincinnati riverfront – FREE. July 30-Aug. 1 – Holy Trinity Festival – Norwood, Ohio. FREE. Aug. 6-7 – Holy Cross Imaculata Church Festival, Mount Adams. FREE. Aug. 6-8 – Glier’s Goettafest – Newport Riverfront – Newport, KY – FREE. Aug. 6-8 – St. John Parish Festival – West Chester, Ohio. FREE. Aug 12 -15 – Great Inland Seafood Fest – Newport Riverfront – Newport, KY – FREE. Aug. 13-15 – Union Centre Boulevard Bash – Union Square, West Chester, Ohio. FREE. Aug. 20-22 – Midwest Regional Black Family Reunion – “Families Helping Families”- Sawyer Point & Yeatman’s Cove, downtown Cincinnati riverfront – FREE. Aug. 20-22 – St. Francis Festival – Lebanon, Ohio- FREE. Aug. 20-22 – St. Mary FunFest – Hyde Park- FREE. Aug. 27-29 – Taste of Blue Ash – Blue Ash Towne Square – FREE. Sept. 5 – Riverfest – Newport KY, Newport Riverfront -FREE – Noon-1opm. have to apply these strategies to your wwon website.